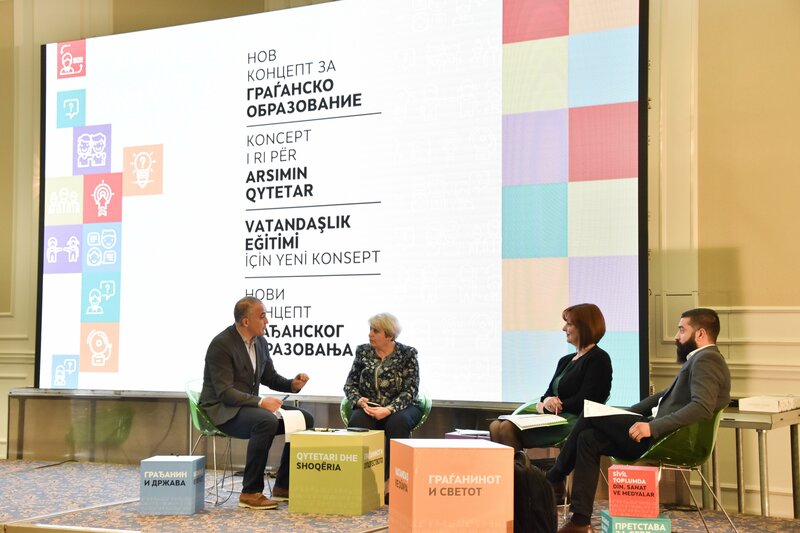 On 20 March 2019, the Macedonian Civic Education Center (MCEC), in cooperation with the Ministry of Education and Science and the Bureau for Development of Education promoted the new Civic Education concept. The Guidebook for students for Grade 8 Civic Education subject was promoted, which serves as a replacement for a Civic Education textbook for the 8th grade this school year, and which was prepared on the basis of the new curriculum. 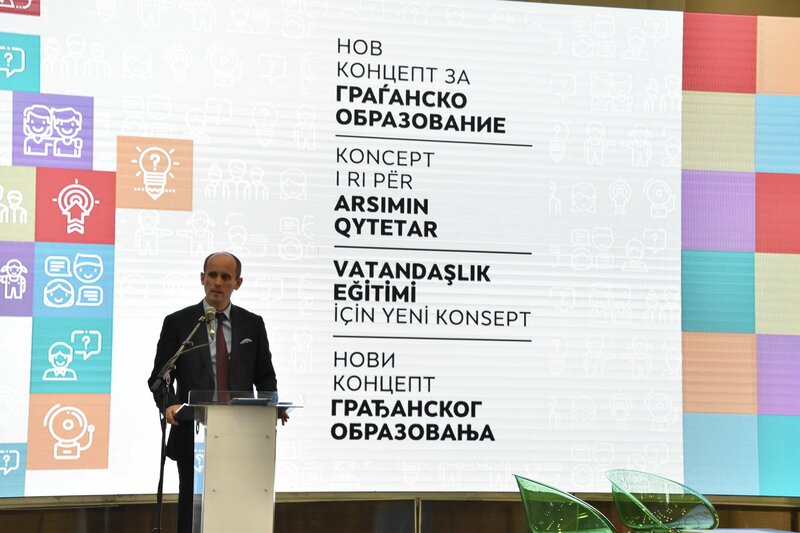 The Minister of Education and Science, Arber Ademi, the Director of the Bureau for Development of Education, Zekirija Hasipi, and the Executive Director of the Macedonian Civic Education Center, Loreta Georgieva delivered welcoming remarks during the event. “Quality civic education will enable us to build generations of students who will be informed and active and who understand their role and responsibility as citizens. 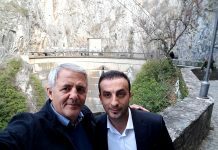 It is a key part of any democracy” said the Minister of Education and Science, Arber Ademi. “In the forthcoming period, the Ministry of Education and Science, in cooperation with the municipalities, will continue to exert efforts for promotion of Civic Education for the ninth grade and for secondary education”, he added. The new Civic Education concept implies systematic and gradual preparation of young people for their active role in the society and civic participation, and it is based on positive experiences from other countries, but also on the context of our multicultural society. This approach opens up opportunities for using teaching methods that initiate discussions and active participation of the students in the learning process, as well as for development of democratic values among students and civic culture in the schools. In his speech, the Director of the Bureau for Development of Education, Zekirija Hasipi, highlighted the key role of the teachers in the process of promotion of Civic Education. “Teachers have a very important and noble role – to inspire students to analyze and critically reflect on the world that surrounds us and to encourage them to engage in improvement of the community through volunteering and youth activism. Our role is to support the teachers in their efforts, but to also provide conditions for their successful work. That is why we have prepared a “Guidebook for students for Grade 8 Civic Education subject” which, besides a theoretical part, also contains a number of proposed activities that the teachers, together with their students, can do during the classes, but also outside the school, in the local community”, said he. 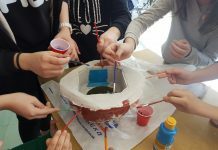 The process of promotion of the Civic Education began in December 2017 with the support of the Macedonian Civic Education Center, through the USAID Youth Ethnic Integration Project and the Strengthening Multi-ethnic Cooperation in Municipalities Project of the Children’s Foundation Pestalozzi. 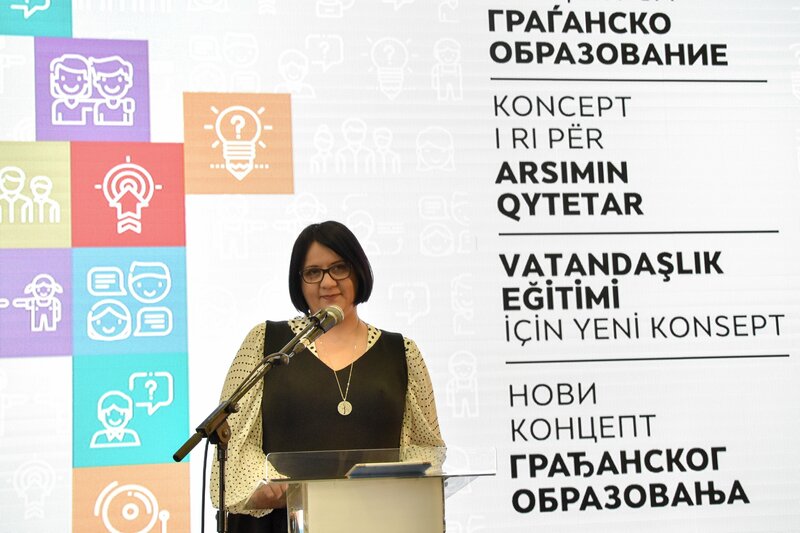 During the event for the promotion of the new concept, the Executive Director of the Macedonian Civic Education Center, Loreta Georgieva, emphasized the importance of the cooperation between the civil society sector and the institutions for democratic changes in the society. “On behalf of the MCEC team, I can conclude that the cooperation of the civil society sector with the institutions is not only possible, but also necessary in order to have positive, high quality and long-term results for modern education reforms“, she said. At the event, a panel discussion was also held on the topic: “Why is Civic Education Important?” whose panelists were Nazihtere Sulejmani, State Advisor in the Ministry of Education and Science, Alvin Salimovski, Director of Primary School “Brakja Ramiz Hamid” in Suto Orizari, and Anita Angelovska, Civic Education teacher in the Primary School “Krste Misirkov” in Gazi Baba. Nazihterе Sulejmani stressed the need for continuous support from the educational institutions for the teachers in the implementation of civic initiatives with the students, while Salimovski and Angelovska talked about the interest of the teaching staff as a key factor for motivating the students to participate in civic initiatives and what the new concept for civic education means for the teachers and the students. 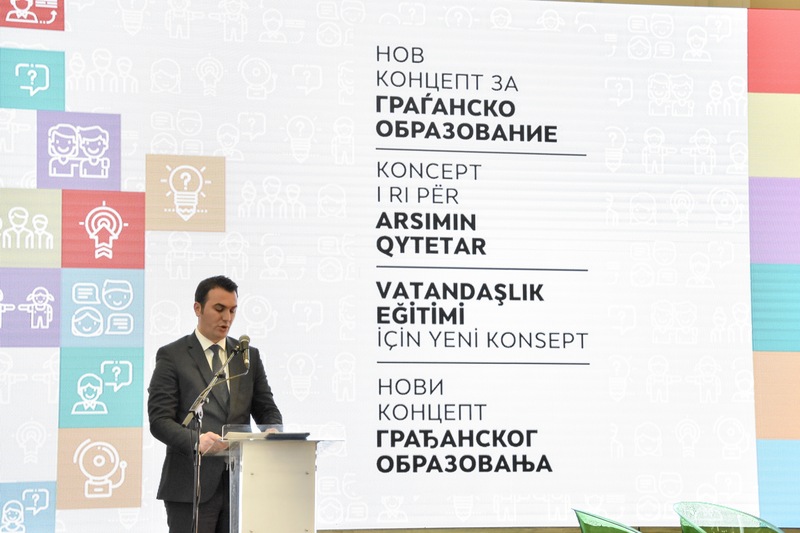 At the end of the event, the Bureau for Development of Education awarded certificates to all teachers from all primary schools who took part in the trainings for the new Civic Education concept at the end of last year. Тhis activity is supported by the Youth Ethnic Integration Project, funded by the American people through the United States Agency for International Development (USAID). This article is made possible by the generous support of the American people through the United States Agency for International Development (USAID). The contents are the responsibility of MCEC and do not necessarily reflect the views of USAID or the United States Government.